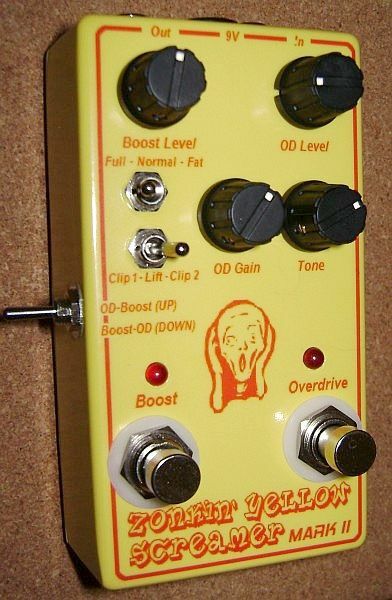 This is my new top-of-the-line Tube Screamer-based overdrive which also incorporates a separate boost circuit into the same pedal. 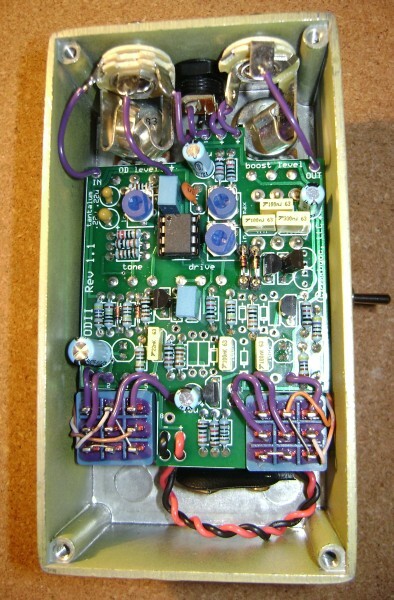 Based upon BYOC's Overdrive 2 kit, the ZYS Mark II starts with a great design and makes it even better with a couple of new twists, including MOSFET clipping and the capability to put the boost circuit either before or after the overdrive stage at the flick of a switch, for completely different sounds. But rather than me trying to cover it all on this page, get all the "techie" details RIGHT HERE! And be sure to check out my buddy Robert Renman's superb video demos of the ZYS Mark II on YouTube, embedded below! Interested in owning a ZYS Mark II of your own? Then click HERE to find out how to purchase one.